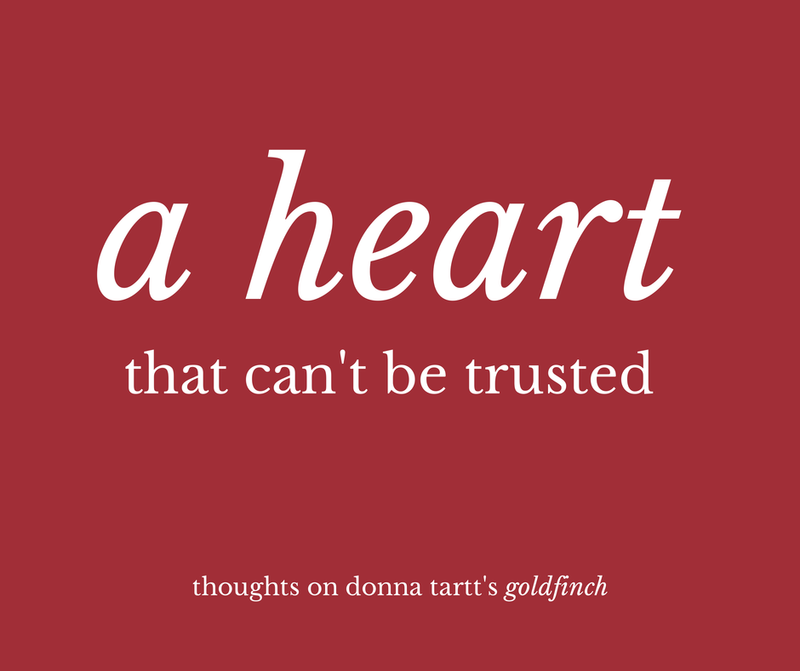 Donna Tartt’s Goldfinch is about loving beautiful things. With constant tensions, complicated relationships, and rising stakes, this book explores what it means to devote yourself to what eludes you. Theo Decker, protagonist and mistake-maker in chief, has a weakness for beautiful art, beautiful furniture, and beautiful people. In the beginning of the novel, he and his mother are in an art museum when it’s bombed, and his mother doesn’t survive. From there, he’s tossed around from home to home, forced to make several new beginnings. The Goldfinch painting, which he steals in the aftermath of the bombing, stays with him along the way, wracking him with guilt. Soon, he starts making more unethical moves, from committing petty fraud to help make more money for his mentor Hobie’s antique business to agreeing to marry a woman he doesn’t really love. All along, the reader is holding her breath, wondering when all of Theo’s small, intricate lies will come crashing down into a big mess. At any moment, it seems that he could lose everything– his friends, his money and other people’s respect for him– in a single false step.